When it comes to choosing home improvement professionals, it's best to choose local businesses. This will not only allow you to support your community, but it will also ensure that your contractor thoroughly understands your home's needs. 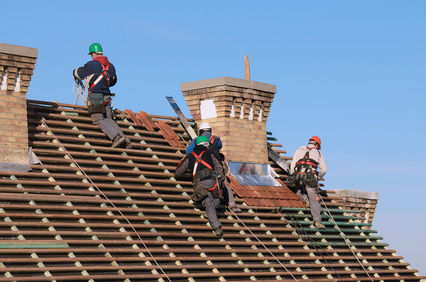 There are many benefits to choosing local roofing companies. One of the main advantages is that local roofing professionals will be familiar with local laws and requirements for contractors. This can help you avoid any possible legal problems with your home's roof or your contractor. Additionally, they will be more experienced with your region’s climate and its effect on your roof. Read on to learn more about finding the best local roofing companies. Is It Time to Look for Local Roofing Companies? Before you begin researching local roofing companies, it’s important to know if it's time for a roof repair or a roof replacement. From your attic or your home's upper-levels, you should be able to easily see any interior damage, such as deterioration from water or leaks. To assess for exterior damage, it's suggested to check your roof from both up close and far away. It’s also important to know what type of material your roof is made of, as each material will have a different lifespan and a suggested timeline for replacement. For example, an asphalt roof will need to be replaced every 15 to 20 years, while a slate roof only needs replacement every 45 to 75 years. In order to fully understand the project for the local roofing companies, you should verse yourself in the basics of roofing, including information on the parts of a roof and any common roofing issues that may arise. Thankfully, HomeAdvancement has many easy guides to the different areas of your home in order to make this information simple and understandable for the average homeowner. These guides include articles on all the usual types of roofing material, including tile, wood, rubber, and more. Not only is proper information provided, you can also double check the general costs for parts and labor. Being knowledgeable on the many aspects of roof repair and replacement can help you feel more confident before contacting local roofing companies. After you’ve done some research on your roof, it’s time to find some local roofing companies for the project. HomeAdvancement makes it easy to list your roofing requirements. Simply provide the type of roof you own, the work you need done, and a bit of background info on your home to get started. After that, once you provide a zip code, you will receive quotes from various local roofing companies. You can choose to talk with a few different local roofing companies before choosing one with whom to begin your roofing project. Whether you’re looking for a simple repair or an entirely new roof, local roofing companies are a fantastic option. Well-versed in regional law and weather conditions, local roofing companies can help you save plenty of money and hassle that may come from choosing companies who are located farther away from your home. After you’ve read up on your roof with HomeAdvancement's guides, all you need to provide is a little information on your home for HomeAdvancement to help you find quality local roofing companies.